The ancestors of the British Shorthair cat probably came over with their pals, the Roman invaders. The breed we know today is a result of the selective breeding of British street cats - but make no mistake, this cat’s impeccable manners would be welcome in the finest parlours in the Empire. The British Shorthair is the teddy bear of cat breeds. From its round face, its short round ears, thick neck, and stocky body, this cat is every bit your favourite childhood toy. The only difference is, there’s even more of it to snuggle! This cat is big, especially the males, which can be as heavy as 7.5kg (compared to 5.5kg for the females). The similarities don’t stop there! Close your eyes and the British Shorthair even feels like your favourite soft-toy, with a ‘crackling’ coat that is crisp to the touch. This cat comes in a variety of colours, including white, black, chocolate, lilac, grey, pink, red, cream and the most famous, blue. Patterns include tortoiseshell, tabby, bi-colour, smoke, tipped and pointed. The British Shorthair is famous for its placid, gentle nature. This cat is exceptionally calm, quiet and easygoing, perfect for anyone with a relaxed lifestyle. It will not demand the attention the way some other breeds do (we’re looking at you, Abyssinian! ), and is not likely to roam if let outside. Your cat is happy to lounge on his comfy bed, or favourite sofa, but not any higher: this breed avoids high places and might get a little cranky at being picked up. Otherwise, it is very kind and affectionate, and will get along with friendly dogs and children that respect his ground-bound nature. As it is descended from a broad genepool, the British Shorthair has no particular health problems. It’s grooming regimen should involve weekly brushing, daily dental care and the occasional bath. However, you do need to be mindful of letting your British Shorthair become any more round than it already is. This breed is prone to overeating, so make sure it gets only the appropriate amount of quality food. This cat sheds in the manner of most cats. 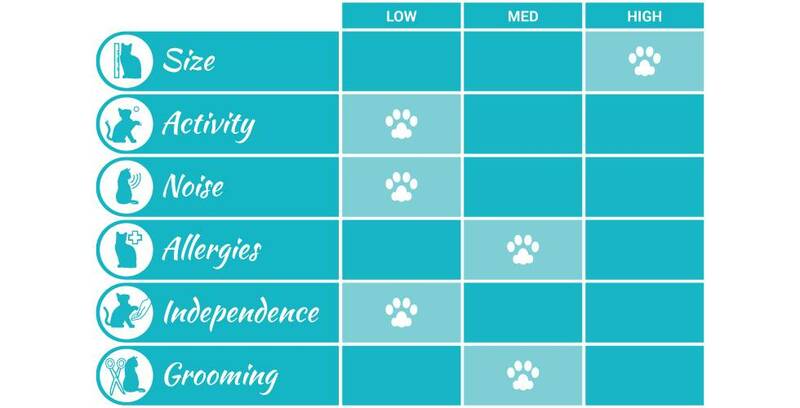 We do not recommend it for allergy sufferers, look into low allergy breeds instead. If you still need convincing, let us help you fall in love with the British Shorthair; or maybe you want a more springy kitty? It’s okay, we won’t judge. Find the cat that’s right for you here.